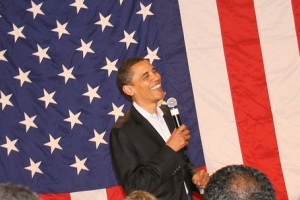 Latin American media see a glimmer of hope in President Obama’s reelection that was largely absent during the campaign. The breadth and composition of the coalition that carried Obama to victory appears to have impressed commentators, and some believe that Obama might be freer of political constraints in a second term. In Mexico, undergoing its own presidential transition, there is expectation that continuity in Washington will facilitate a smoother transition there. 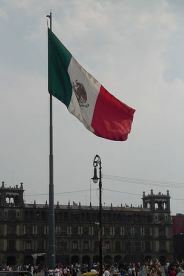 The prospect that Obama will be willing, and perhaps more able, to press for additional stimulus measures to jumpstart the U.S. economy – with obvious benefit for interdependent Mexico – may also be a factor. El Tiempo in Colombia noted that “with Obama, there won’t be surprises,” and that stability is welcome during the difficult peace talks. 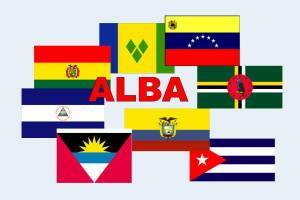 The ALBA countries generally welcomed Obama’s reelection, and – probably reflecting a wider view – Cuban media proclaimed: “U.S. elections: the worst one did not win.” Some media, such as Brazil’s O Globo, reminded readers that the U.S. House of Representatives remains under Republican control, and that the GOP “had been kidnapped” by the Tea Party. No one so far has dared to expect a major shift in emphasis toward Latin America during Obama’s second term, but reelection gives the President another opportunity to make good on his vision for “partnership” in our hemispheric “neighborhood.” Early analysis of the voting, particularly in Florida and in Latino communities, suggests that he will have the political space to live up to the expectations created by his soaring rhetoric during his first Summit of the Americas in 2009. 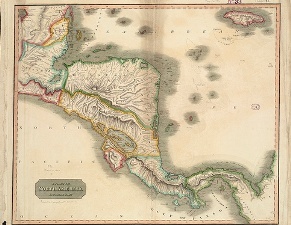 Not only can he explore reasonable approaches to longstanding issues such as Cuba, which will improve the U.S. image throughout the region; he can reengineer Washington’s relations with Central and South America in ways that reflect the region’s own evolution and ambitions – enhancing and facilitating them, rather than fearing or even resisting change. 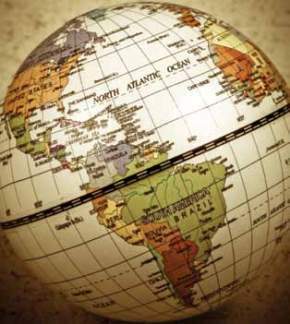 If Latin America is ready to move into the future with a new, constructive interaction with the United States, now is the time to give it a try. This is the second of a series of entries examining how the U.S. presidential campaign is being viewed in different Latin American countries. The twists, turns, and daily gaffes of the U.S. presidential campaign elicit muted interest from Brazil’s opinion makers and usually land near the back of the newspaper. A review of the Brazilian media indicates curiosity about the race but little fretting about its consequences. As Republican candidate Mitt Romney has struggled, Brazilian commentators have started handicapping the U.S. election in President Obama’s favor. 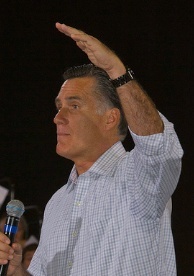 The magazine Veja said Romney had nearly issued himself a “political death certificate” via recent mistakes, while O Globo judged the Republican to be down, but not completely out. Romney’s struggles have not generated great joy, even though a recent poll showed that nine of 10 Brazilians, given the chance, would vote for Obama. Many Brazilians are frustrated about the Obama administration’s attacks on Brazilian trade policy, which they attribute to the coming election. Public exchanges between U.S. and Brazilian trade officials have grown terse. Personal relations between Dilma and Obama appear chilly, with no conference planned on the sidelines of the UN General Assembly this week. Romney’s foreign policy positions, on the other hand, draw criticism. Mocking Romney’s rightward drift, Professor Demetro Magnoli wrote in Estado do São Paulo that the former governor is “the most dangerous man in the world” for his threats to unleash a trade war with China and a real war with Iran. Nonetheless, Magnoli and others in the Brazilian press seem skeptical that campaign rhetoric will be reflected in foreign policy. While the U.S. campaign gives Brazilians little reason for either excitement or concern, one implication they may see is that Brazil’s regional stature will continue to ascend regardless of who wins. 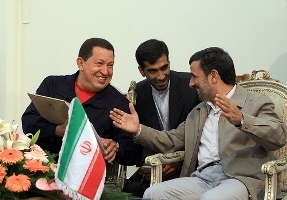 Romney’s campaign platform for Latin America plays up threats from “Bolivarians,” criminals and drug cartels, and Hezbollah. 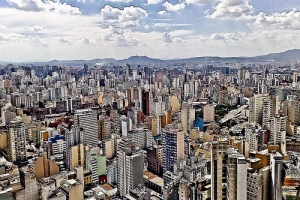 Moreover, his promised solution – a “Reagan Economic Zone” – seems incongruous with the late president’s image in Brazil and much of Latin America. Obama, on the other hand, has a personal background and restrained tone in foreign affairs that makes him more popular with the Brazilian public, but he has not taken advantage of that to improve relations or to address irritants like trade or onerous visa requirements, nor to improve Washington’s image in Latin America. Whichever administration begins in 2013 will find a Brazil that is curious, but hardly waiting on Washington for answers.